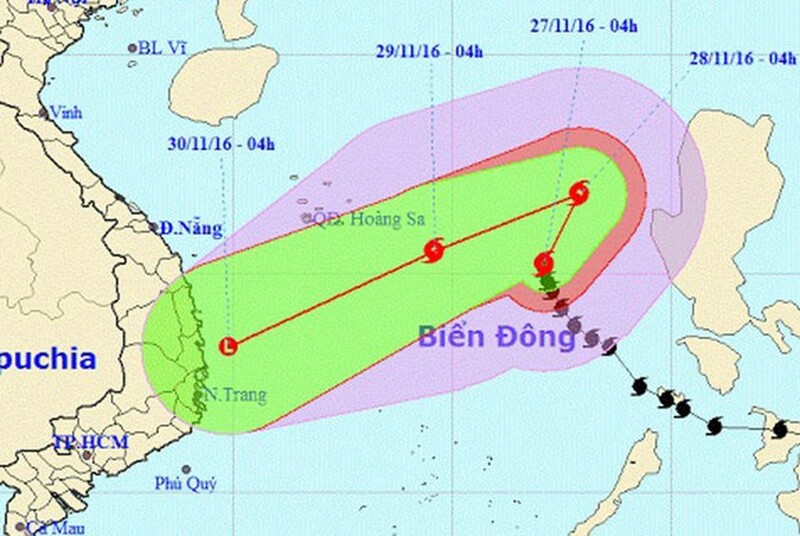 The Vietnam Hydrology Meteorology Forecasting Center and Hydrology Meteorological Forecasting Center of Asia- Pacific Region reported that the ninth storm hitting Vietnam this season- Tokage will enter the central territorial water of the East Sea. Typhoon Tokage is forecast to return the mid East Sea. According to the National Steering Committee on Natural Disaster, the typhoon is forecast to return the mid East Sea, so the localities have to update weather information and guide all vessels moving out off the damaged zone. 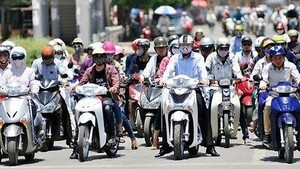 The border guards, local authorities and ship owners of the coastal provinces from Quang Binh to Ba Ria- Vung Tau said the they announced information about the storm to 58,259 boat owners and 371,107 labors, instructing them to actively move to safe places. At present, there are 1,223 ships operating offshore water and 57, 036 ships working near the inshore region. According to the latest weather news, the storm was centered at 16. 6 degrees north latitude and 118 degrees east longitude moving at 620 kilometers of the Paracel Islands with its wind of level 9- 12. Today, it is going to move the north- northeastward and west southwest later at 10- 15 kilometers per hour. From November 28- 29, the ninth typhoon will locate in the west- southwestward with its speed of 15- 20 kilometers an hour and be weakend into the tropical low pressure as it enters the Hoang Sa (Paracel) Islands. In the following hours, the depression continues moving the west southwestward of the mid central region at 20- 25 kilometers per hour, and turning into the low pressure zone. The weather in Ho Chi Minh City, the southeast and southwest region will be sunny at daytime with its peak temperature of 24- 34 degrees Celsius; rains and thunderstorms will occur in evening.